We have been staying with our Aussie family on and off for 2 months now and we cannot thank them enough for their hospitality! They have really made our time in Australia special and given us a real feel for their country. On our last day in Australia we were in for a real treat!! The afternoon began with some fun in the pool followed by a surprise concert by their daughter Emma and her two eldest children, Joel and Laura (with Ben bouncing around off to the side cheering on his siblings)!!! The concert was incredible and so much fun to watch the kids perform! 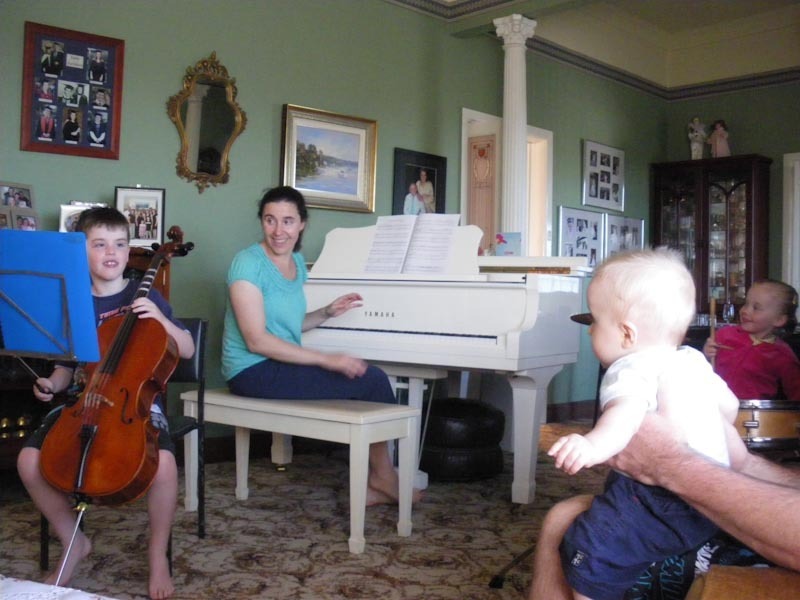 They are both very talented musicians and later this year Joel will play his cello at the Opera House which is very exciting!! After our surprise concert it was time for our last Aussie BBQ! Like always, the food was spectacular and there was lots of it!!! We ate until we couldn’t eat anymore!! It was just lovely!! We are really going to miss our Aussie family when we depart but know that we will see them again very soon!!! Thank you so much again for everything you have done for us, we will never forget our time in Australia thanks to you!! !